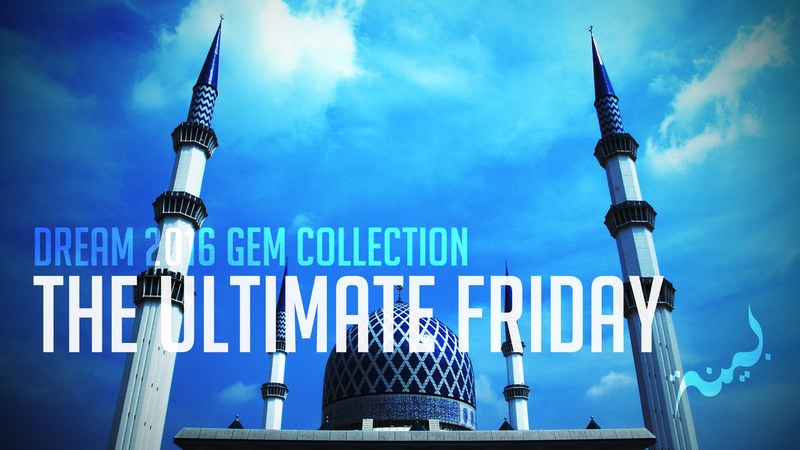 A running theme in Surah Kahf is the false belief that material good is the ultimate good. We know, however, that the immediate perception of what is good is quite different from the ultimate good. This theme is also apparent when Dhul Khidr demonstrates to Musa that the ultimate good, which is sometimes imperceivable, is better than the good of the material world, whereas Dhul Khidr sinks a ship for the ultimate purpose of protecting its owners and so on. Towards the end of the Surah, Dhul Qarnain builds a massive barrier between Yajooj/Majooj and an oppressed people who consider this wall as an absolute marvel. Dhul Qarnain brushes off the praise and says that the amazing feat is simply from the mercy of his Lord and will be destroyed when the time comes, demonstrating his understanding of the relative insignificance of material good. It’s clear that Surah Kahf’s message is that the ever lasting world is superior to the short term material world which we will question about on the Day of Judgment. Here’s what’s really interesting. According to Hadith, the Day of Judgement is on a Friday, which interestingly happens to be the day we’re encouraged to recite this Surah. Further, the Surah in the Quran that explicitly commands toward the Friday prayer does so using the same message of leaving the pursuit of this world in order to prepare for the next. As Allah commands us to gather on Yawm al Jumu’ah, the day of gathering, he will gather us on Yawm al Qiyama, the day of Judgment. Interestingly enough, Judgement Day is referred to as Yawm al Jama’, the Day of Gathering, in Surah Shura. Surah Kahf, which we read every Friday, is actually a reminder of the ultimate Friday, the ultimate congregation, the Day of Judgment. It’s a reminder of our duty to prepare for this last day, by setting aside our focus on material good, and seeking ultimate good through the remembrance of Allah. Thank you for the beautiful article. May Allah increase you in goodness and reward you for your efforts. By the way, in the Arabic text of the ayah in which you have related from Surah Al-Jumua, you have missed the ‘Ya’ at the beginning.